What is Languages in Action version 2.0? 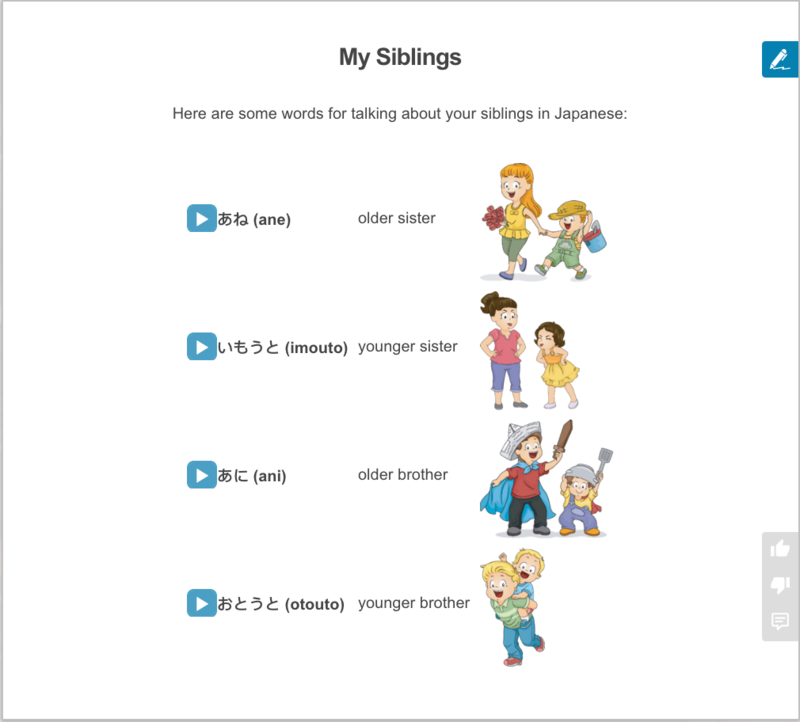 The Languages in Action platform is the ultimate language learning resource for your students. It is designed to be a full ecosystem of material for your students’ language learning needs enabling them to practise all key skills (Reading, Listening, Writing, Speaking, Grammar and Vocabulary) in an engaging and interactive way. These levels can vary significantly depending on how much time allocation a school has for languages. Each unit starts with an introductory Smart Lesson which covers all of the key points of the unit. 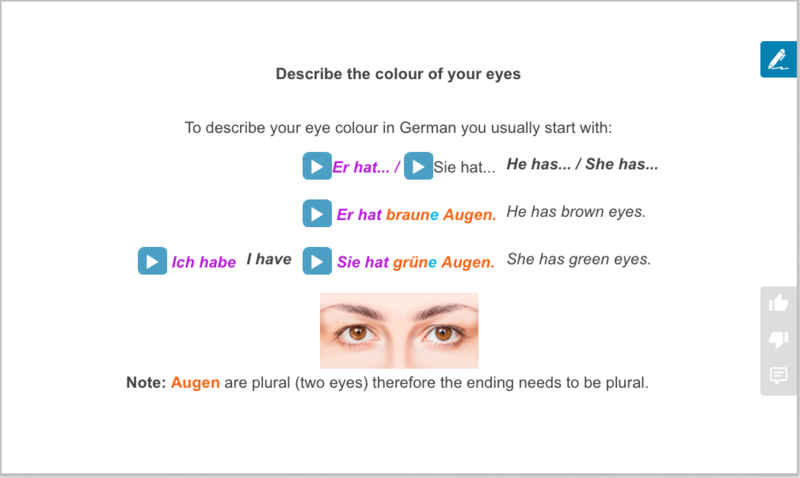 These sections also contain a series of multi-choice and drag and drop questions practising the key vocabulary and expressions from the unit. This section contains listening texts which gradually increase in difficulty. Each text has a series of questions which initially test students' recognition of words, then move on to comprehension. The first comprehension questions in the section are multi-choice, then in the second part of the section students are required to write longer sentences which they can compare to a model answer. You can view and give feedback on these answers as a teacher. The questions are designed to include a variety of different question types and require students to use different levels of thinking. This section includes reading texts covering a variety of different text types which gradually increase in difficulty. Each text has a number of questions associated with it, which follow a similar structure to the listening comprehension questions. Students start with a combination of recognition questions and comprehension questions, which increase in complexity as the section progresses until students are writing full sentences to answer the questions. 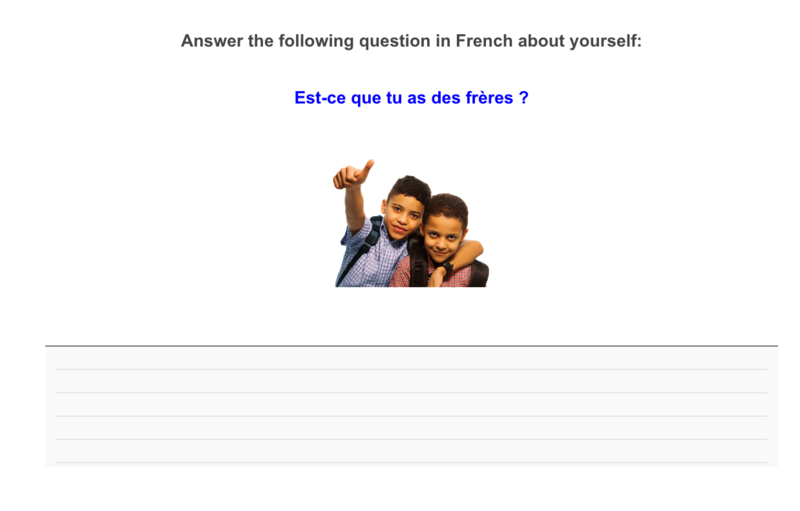 This section requires students to write full sentence answers to questions in the target language. They can then compare their answer to a model answer and then when they submit their answer, their teacher can check and leave feedback on it. 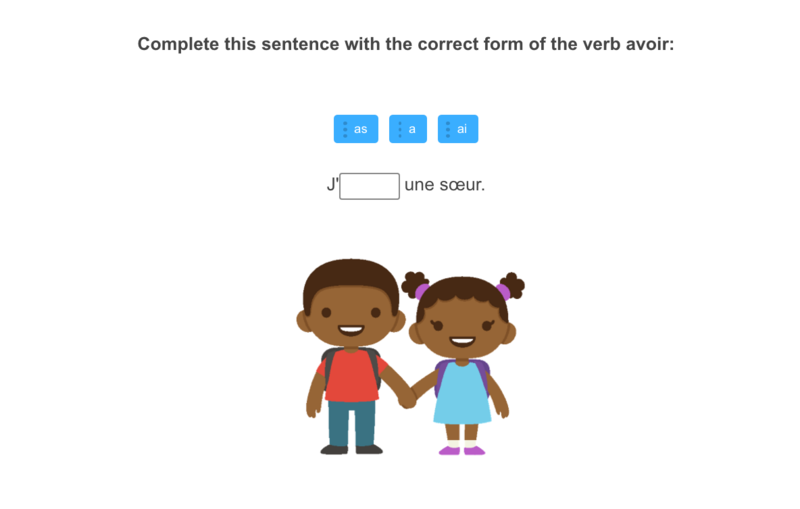 For languages that require script, students can write in script and for languages that require accents, these are easy to include. 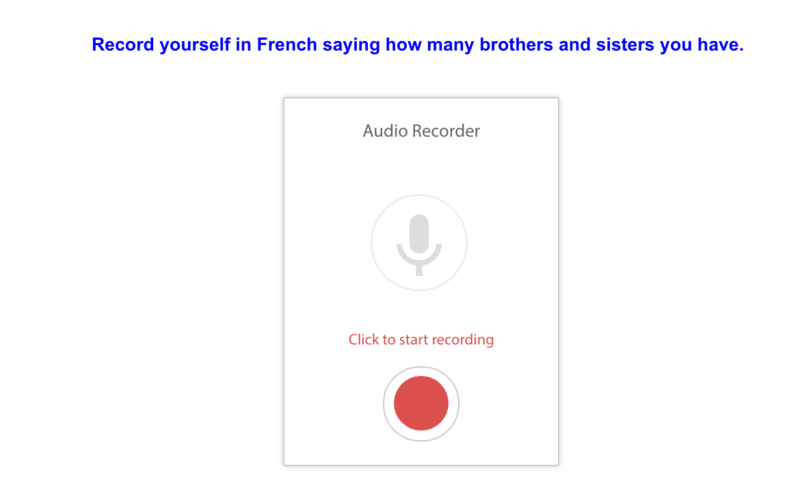 This section contains communicative speaking tasks which require students to record answers for speaking scenarios in full sentences, based on written or spoken prompts. They can listen back to their recordings and re-record as many times as they like. Teachers can also listen to what students have recorded and give feedback. These activities allow students to practise the spontaneous production of language in a safe, non-threatening way, while building a repertoire of personal responses. This section focuses on grammar points that relate to each unit, with a focus on putting grammar in context. It first teaches the grammar point and then provides scaffolded activities to help the students practise the grammar point in the context of the unit. The activities start out with simple recognition activities and then gradually move towards activities where the students have to produce their own sentences using the grammar point. The number of grammar points covered in each unit varies according to the topic and complexity of the unit. At this stage the following languages have a grammar section available: French, German, Chinese, Japanese and Spanish. This section requires students to use the language from the unit in a different way, to produce a creative piece of work that they can upload to the system. Teachers can then look at the tasks the students have made and give feedback on these if they choose to. The elementary Languages in Action units are a series of lessons broken down into nicely scaffolded blocks for entry level learners. The lessons are also colourful with lots of images and different types of learning activities.The lessons cater to all the key skills of language learning: comprehension (listening, reading), writing and speaking as well as cultural notes. They are divided up into short sections to allow you to assign just the right amount of work for your students, even if you only have a little bit of time available. They allow teachers to cover a topic in varying amounts of detail depending on how much time they have available. We now have a bank of original pre-made assessments for the elementary and beginner Languages in Action units. 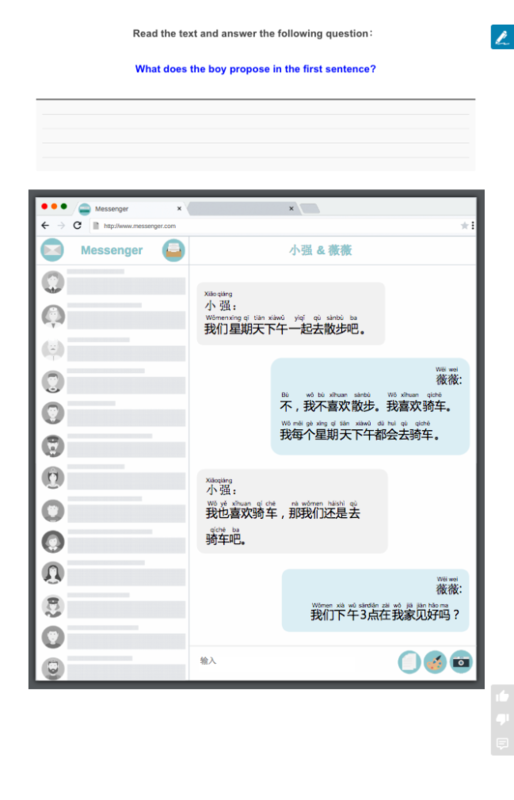 These are available for French, German, Chinese, Japanese and Spanish. These can be used as end of unit tests or can be combined to make an exam. Click here to watch a video which outlines these assessments. We also have a bank of diagnostic tests which can be used at any stage of the year for gathering diagnostic data. 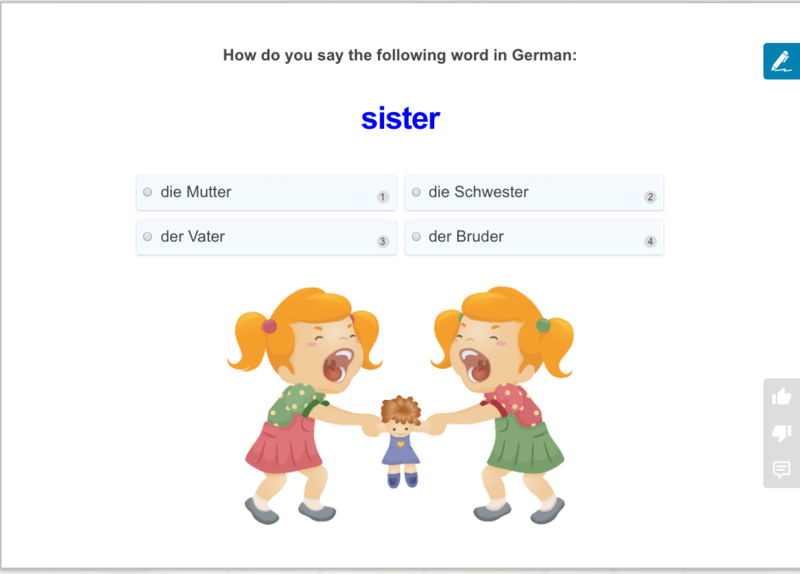 It is also possible to make a quick test based on any of our existing content, both our Languages in Action units and our vocabulary lists. All these options provide very rich data which can be used for formative and summative assessment and is great for reporting to parents and to senior management. Click here for some useful guides on how to use our assessment manager within the control panel. For ideas of how to use Languages in Action in your classroom, see Ideas for using Languages in Action version 2.0 in your class.